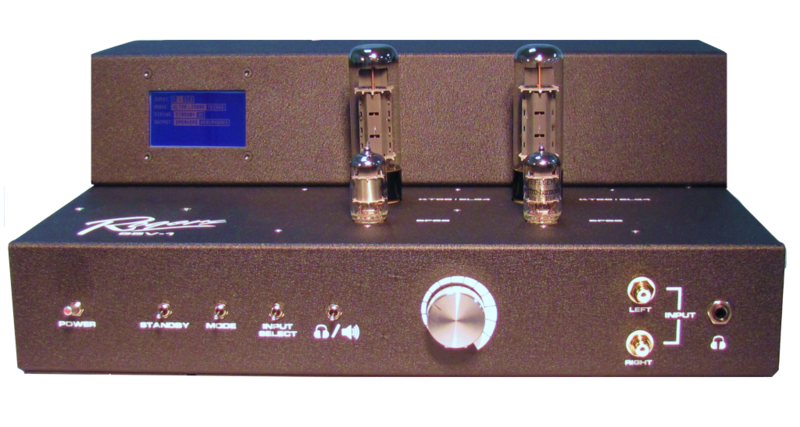 Rogers High Fidelity Unveils the 65V-1 High-Performance Class A Integrated Amplifier! The 65V-1 has been developed using precision engineering and superior craftsmanship creating an amplifier that provides flawless performance and style using a dual power tube array design. The user experience is enhanced further with an iPad control app. A Bluetooth interface displays your amplifiers output levels, using real time telemetry information, which is smartly displayed the on app. In addition, all features can also be controlled manually on the front panel. • Pair of EL-34 or KT-88 Power tubes, in addition to selectable triode and ultra liner operational modes of operation. • Toroidal type power supply and a separate low noise DC tube filament power supply which enhances the pure fidelity signal reproduction. • Dedicated headphone output circuit for optimum performance when using headphones. • Control capability via Bluetooth connection to Apple devices. The 65V-1 displays on application control functions of all the amplifiers features. • Auto bias circuit for long tube life and ease of operation. Rogers High Fidelity continues to bring to market the latest technologies, the best sound and an all-aerospace design. Come see and hear the newest addition to our Rogers High Fidelity product line by visiting the Rogers’ team at CES 2017, LAS VEGAS, NV JANUARY 5-8, 2017 at the Venetian Hotel Room # 29-124. Located in the heart of the Hudson Valley in Warwick, NY, Rogers High Fidelity specializes in designing and manufacturing high-performance audio products. All Rogers High Fidelity products are completely made in the USA with the finest components, and feature a lifetime transferable warranty. President and Chief designer Roger Gibboni applies his 30 years in aerospace communications design to create visionary solutions for true audio reproduction. The 65V-1 is the first product from Rogers that will be available direct from factory and priced below $4,000!